In the study of theory of machine there are many basic terms to understand. The basic motive of studying theory of machine is to learn machine building. For that purpose there is a need to understand the elementary terms or parts that indulge in the machine building process. These elementary terms are kinematics chain, links, joints, degree of freedom, constraints etc. The kinematic pair is very important aspect to understand in theory of Machines. When two elements of a pair are joined together with the surface contact between them the joint is called lower pair. Area of two elements comes together when relative motion occurs between the elements to form a lower pair. The elements has sliding motion mutually in a lower pair because of surface contact. Basic kinematic pair like prismatic pair, revolute pair, screw pair, are some examples of lower pair. The joints which comes under lower pair are described with degree of freedom and there motions with that joint. Prismatic joint is a lower pair which has one directional translatory motion and has degree of freedom = 1. This means Prismatic joint has constraint in 5 directions. Revolute joint has one directional rotational motion and therefore degree of freedom =1. The three translatory and two rotational motions has constraints in the revolute joint. Screw joint - this is a special case. Screw joints has translatory and rotational motion but both are not independent. When screw rotates with the threads, it also moves in linear motion because of threads. Its degree of freedom is calculated =1. Cylindrical joints has one rotation and one translation independently. So its degree of freedom is 2. 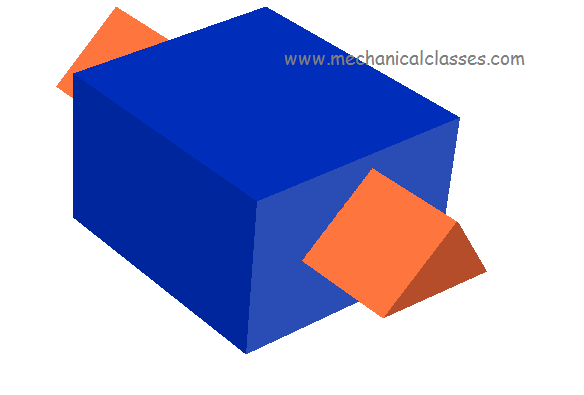 Planar joints has one rotation and two translatory motion. That is why its degree of freedom =3. In The higher pair, only one point or line are responsible to form a joint between two links. The elements of higher pair must have curve in its shape. These joints are found in the cylinders or spheres of equal or different radius which have their axis parallel to each other. 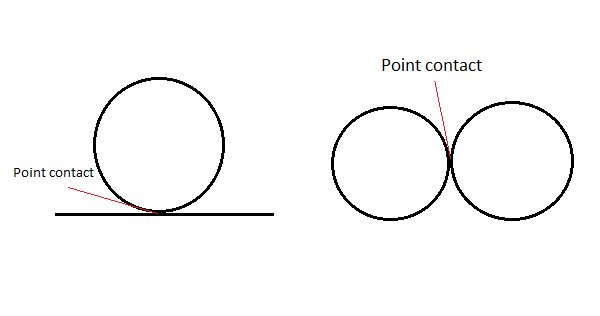 A cylinder or sphere lying on a flat surface has a point Contact and makes a higher pair. The relative motion of cam and follower makes a point Contact between them. The point of contact between two involute gear meshing makes a higher pair. These are some basic examples to explain the higher pair better.